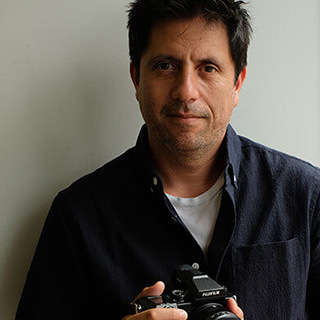 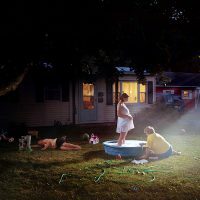 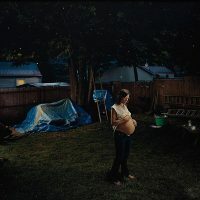 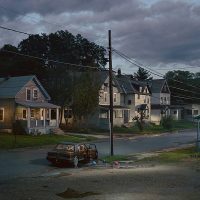 Gregory Crewdson (1962) is an American photographer who is best known for elaborately staged, surreal scenes of American homes and neighborhoods. 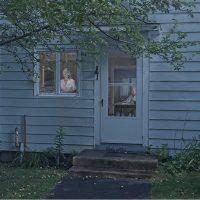 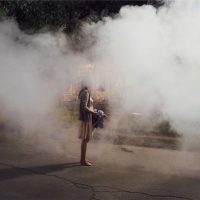 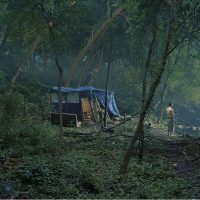 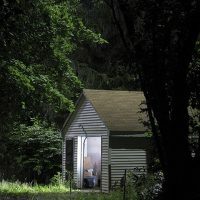 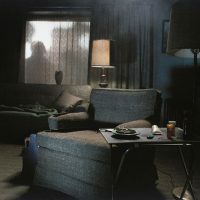 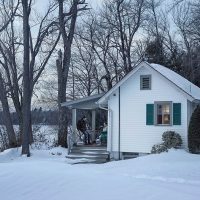 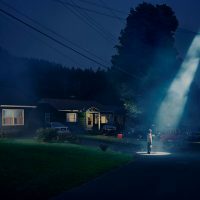 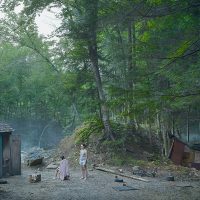 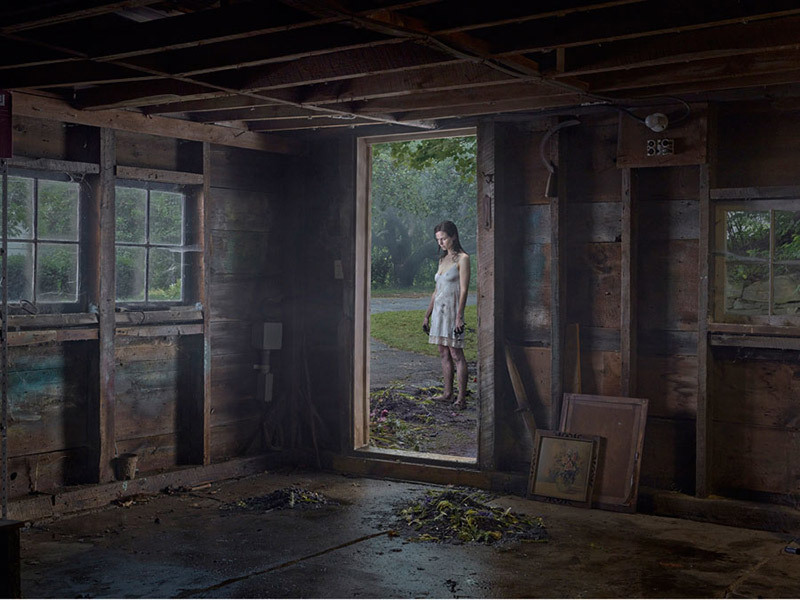 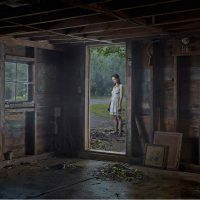 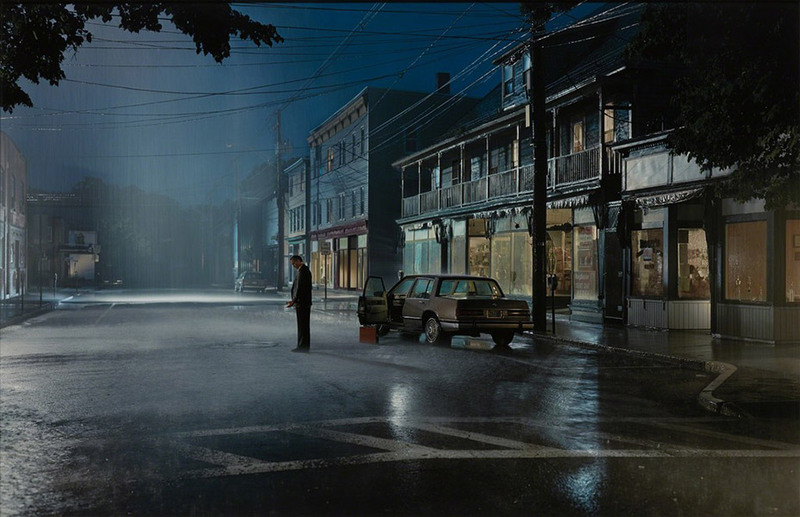 In suburban settings or on elaborately detailed sets of American homes, interiors, and neighborhoods, Gregory Crewdson stages haunting, cinematic photos of alienation and eerie quietude. 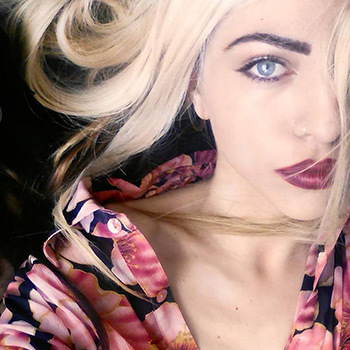 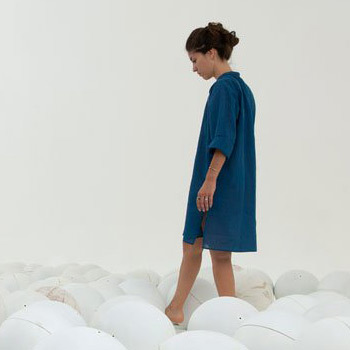 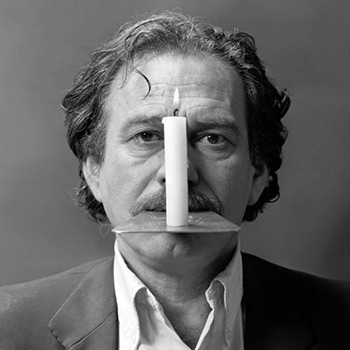 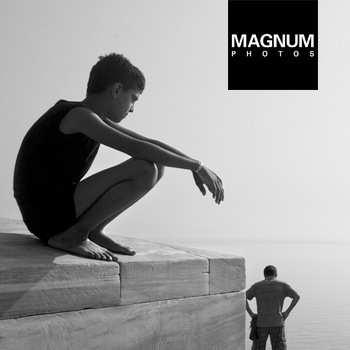 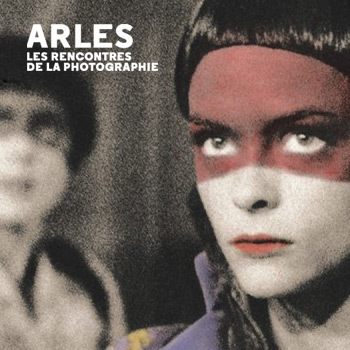 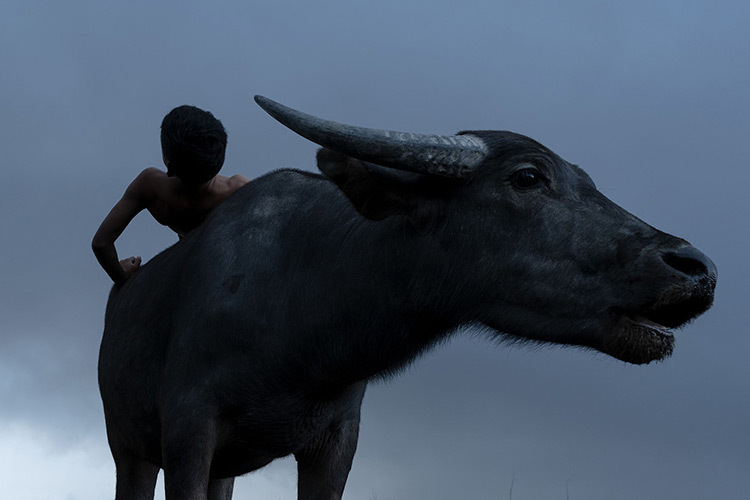 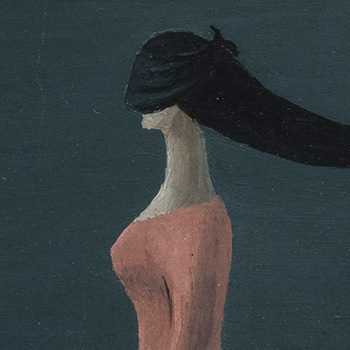 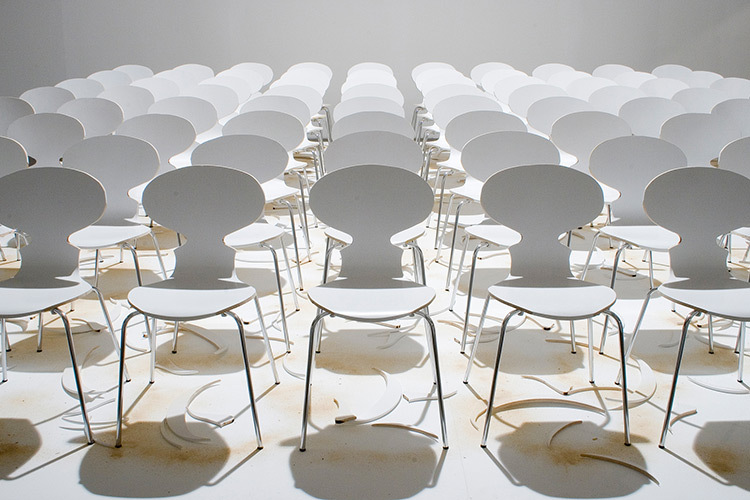 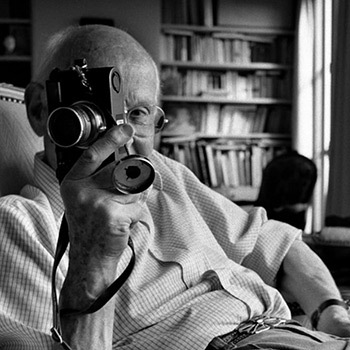 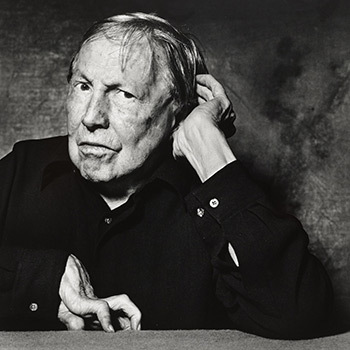 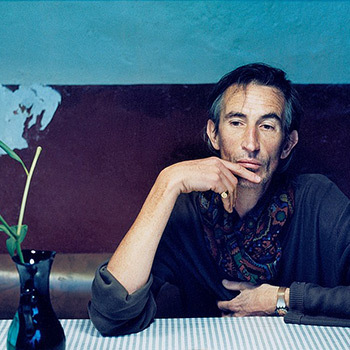 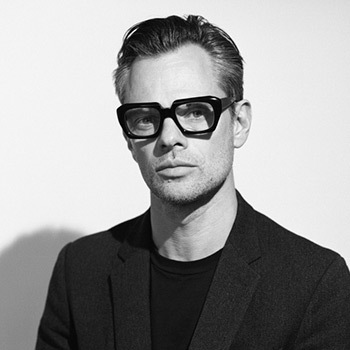 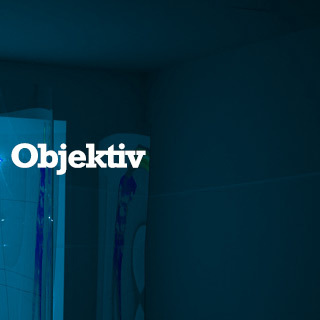 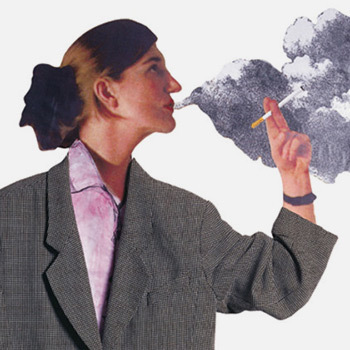 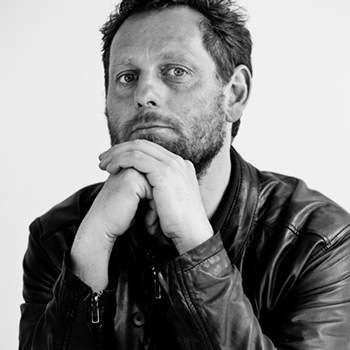 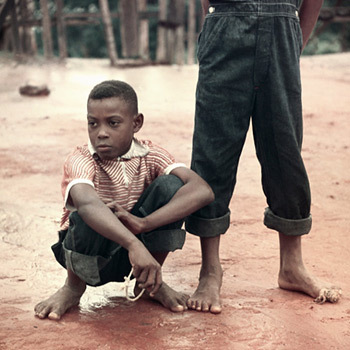 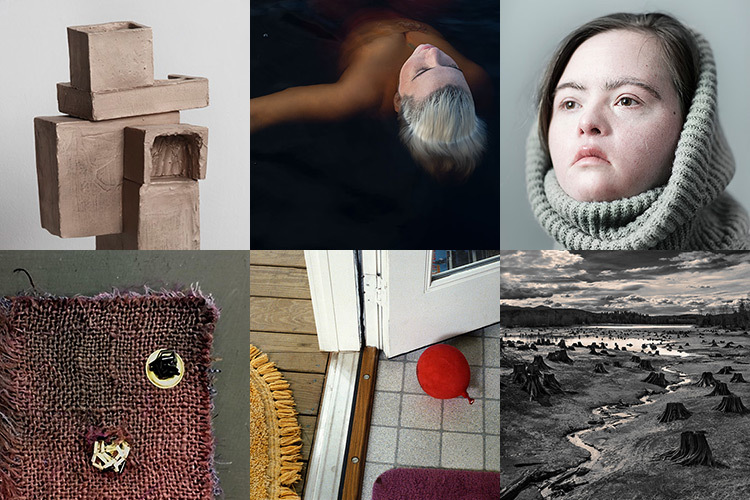 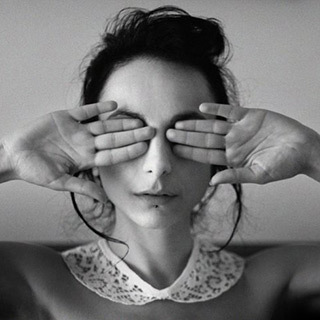 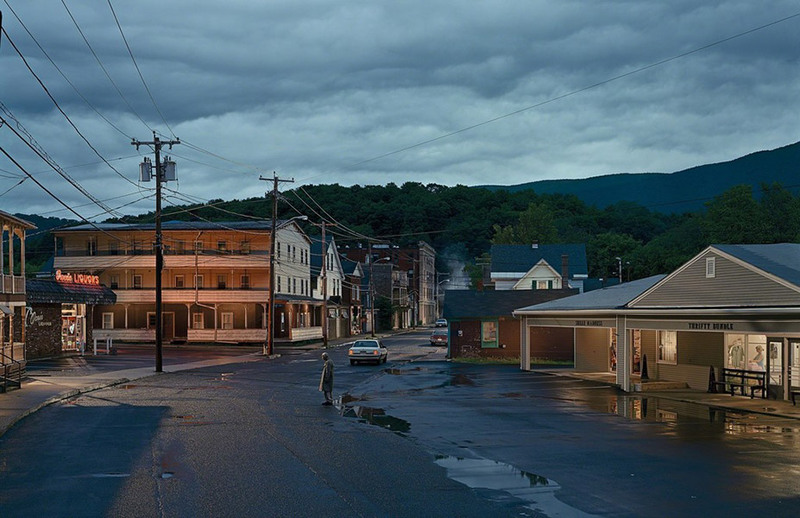 “I’ve always been interested in wanting to construct the world in photographs,” he has said. 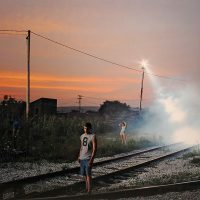 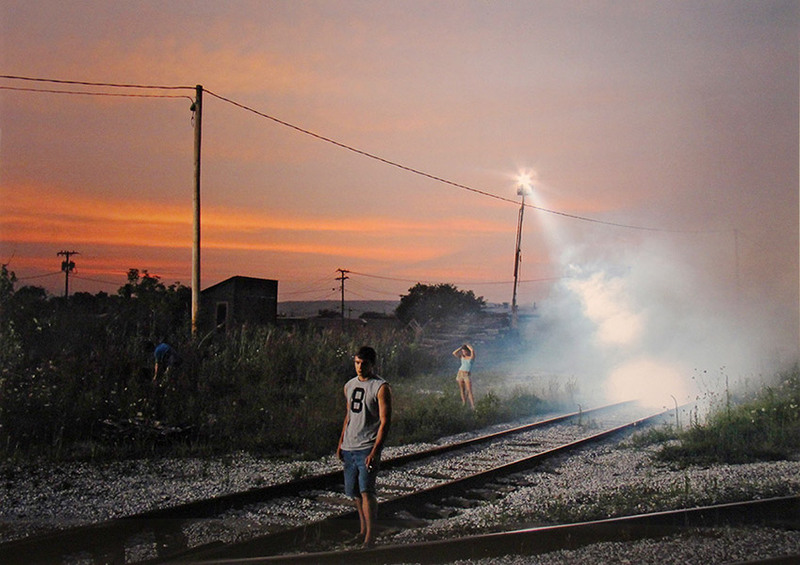 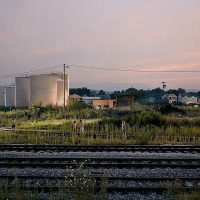 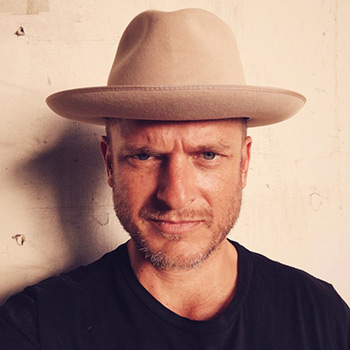 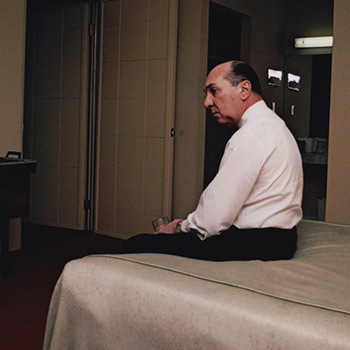 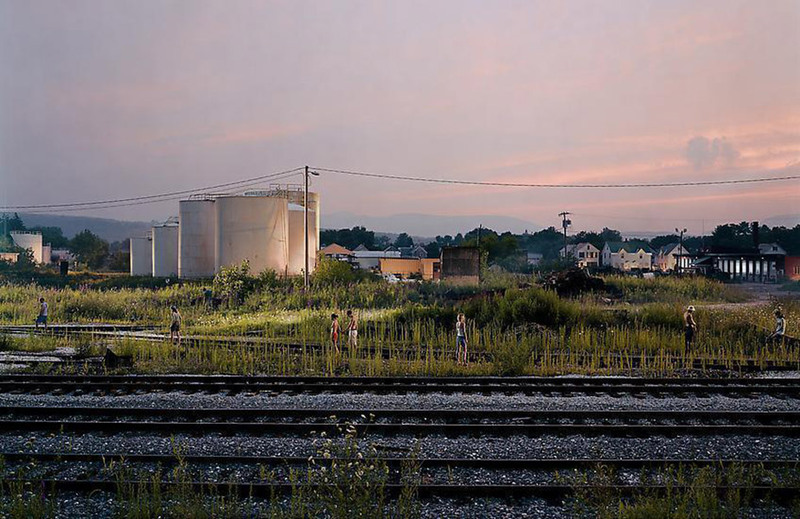 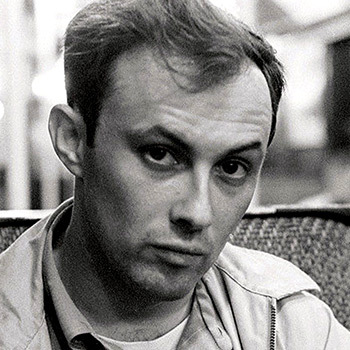 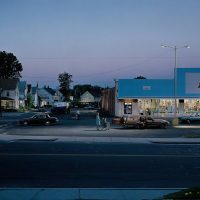 Crewdson’s work combines the documentary style of William Eggleston and Walker Evans with a dreamlike quality reminiscent of such filmmakers like Stephen Spielberg. 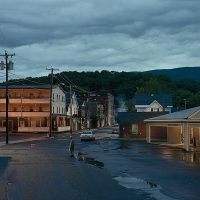 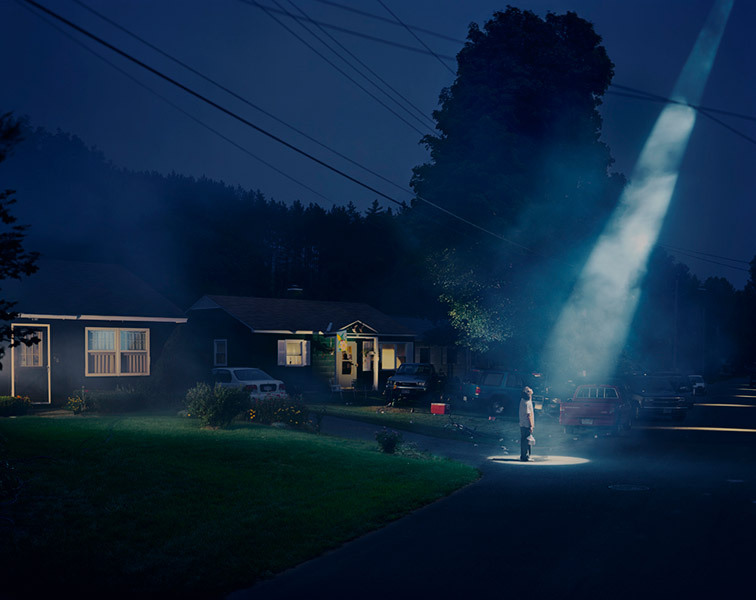 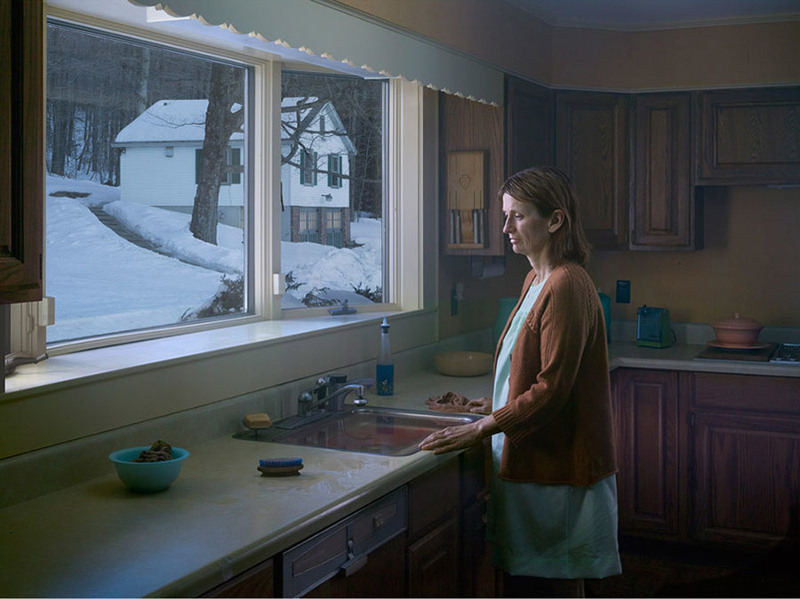 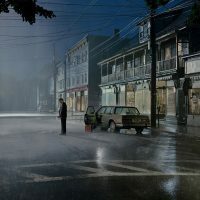 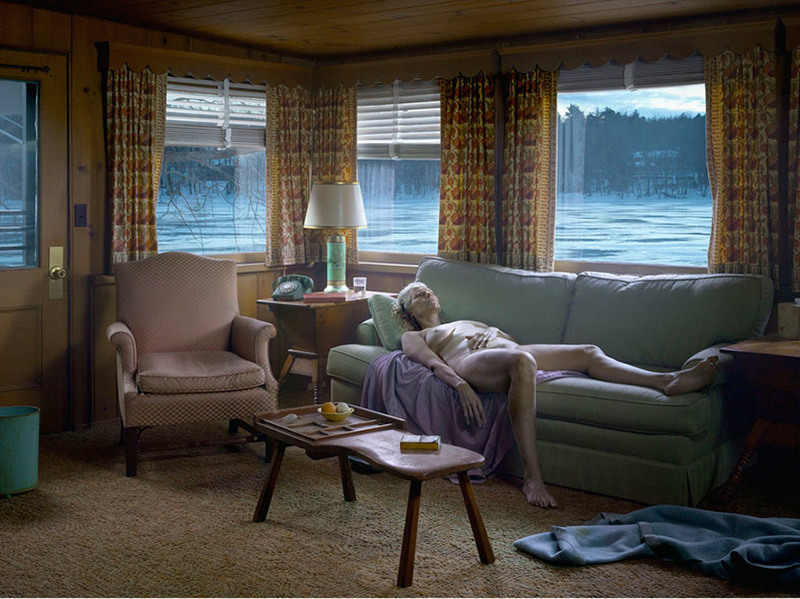 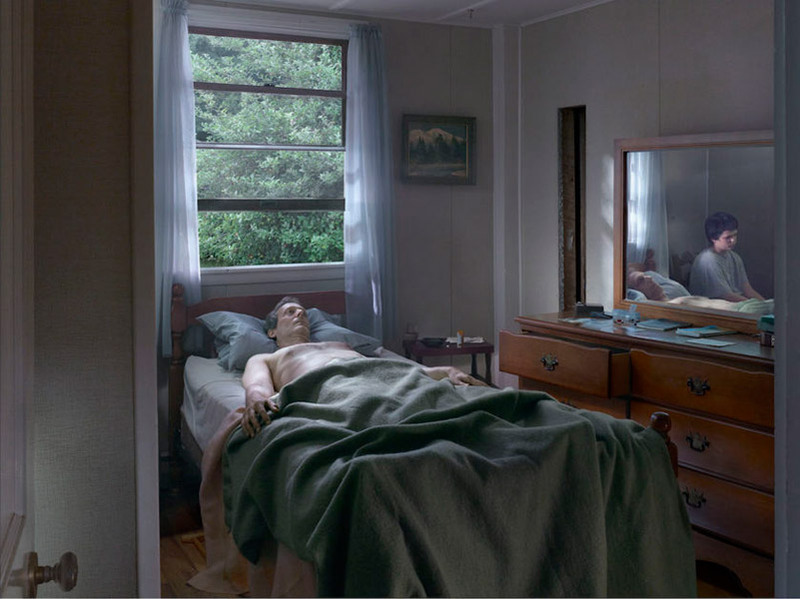 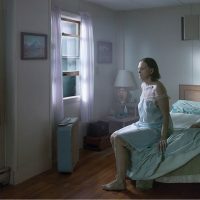 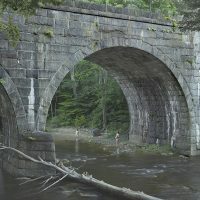 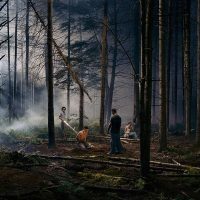 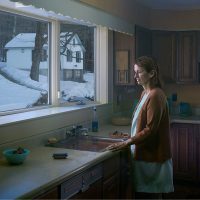 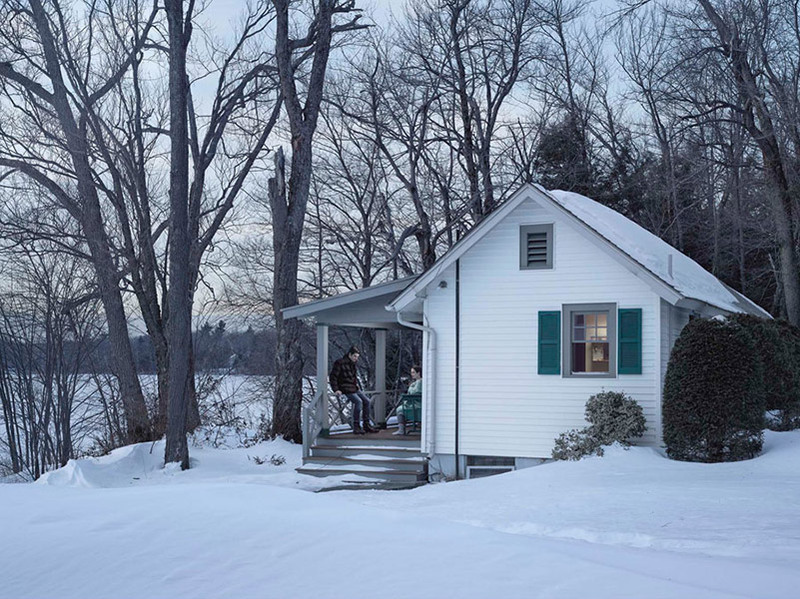 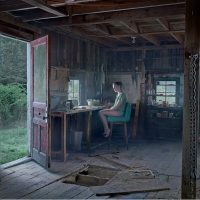 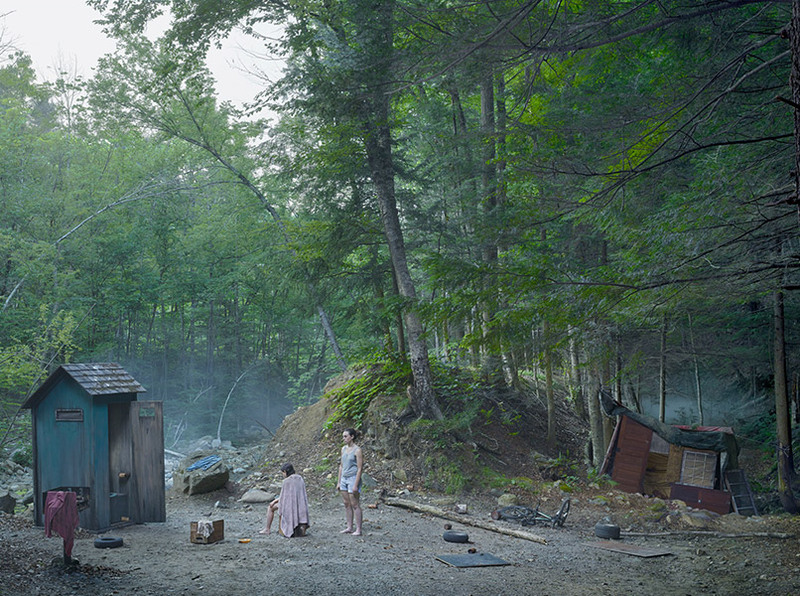 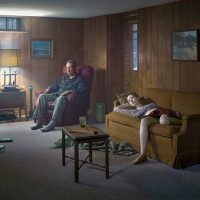 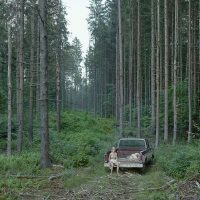 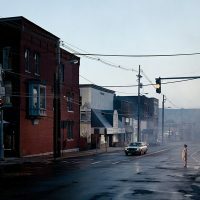 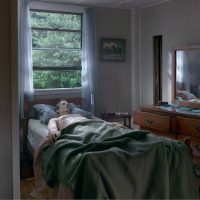 Yet unlike those directors, Crewdson is compelled by how the still image freezes time and sets limitations, “like a story that is forever frozen in between moments, before and after, and always left as a kind of unresolved question,” he describes. 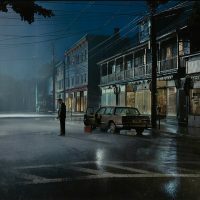 His quietly disturbing American settings, with their immaculately staged lighting and somber, solitary figures, are often seen as functioning in conversation with the works of Edward Hopper. 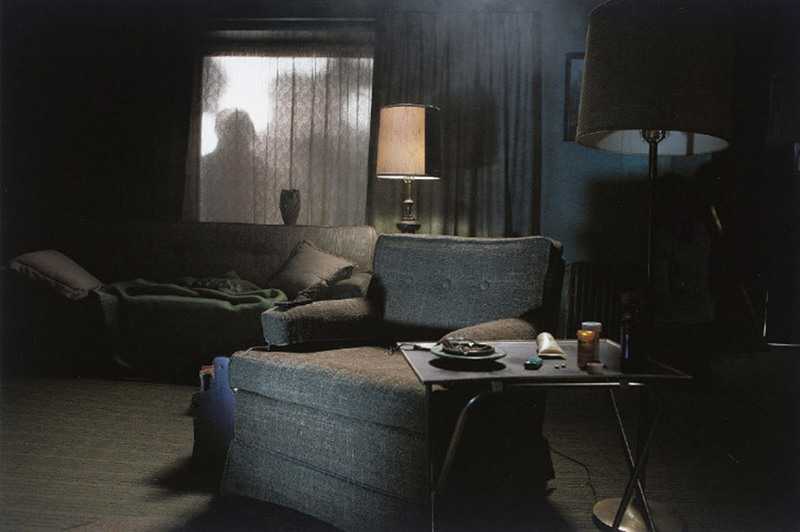 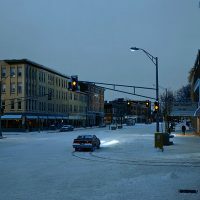 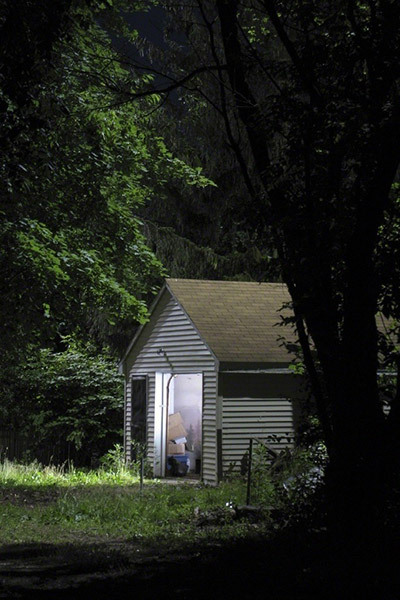 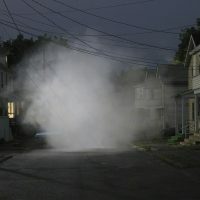 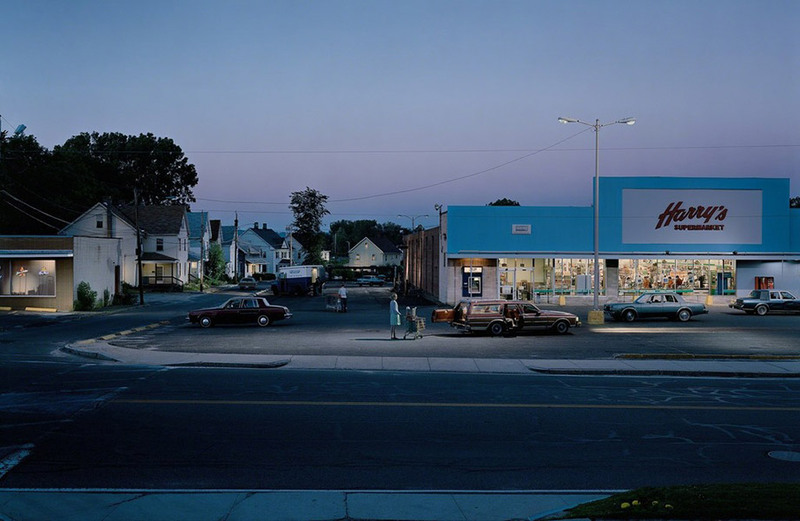 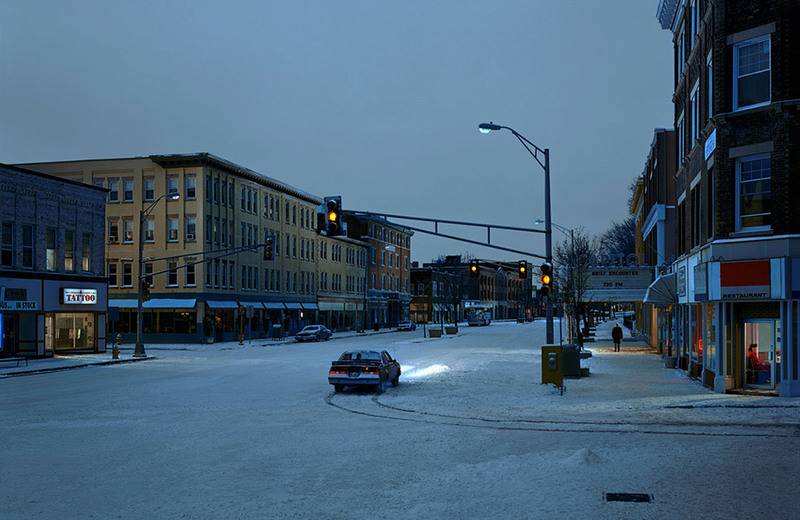 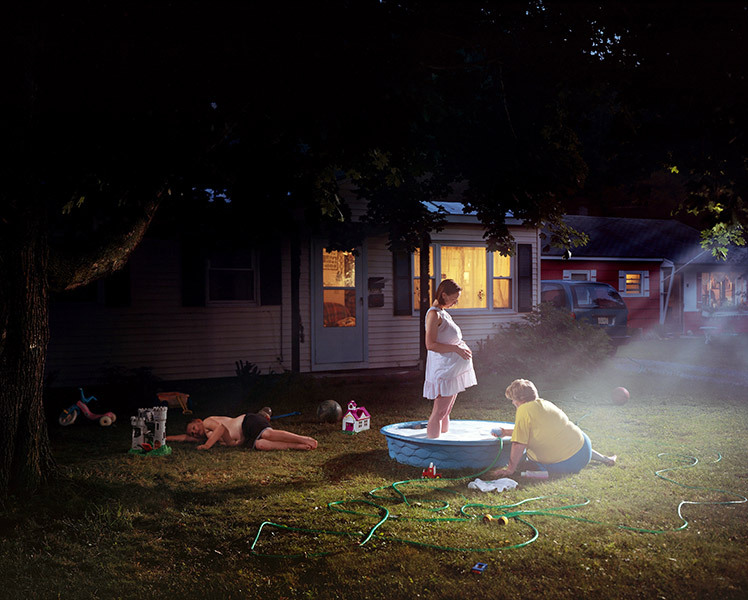 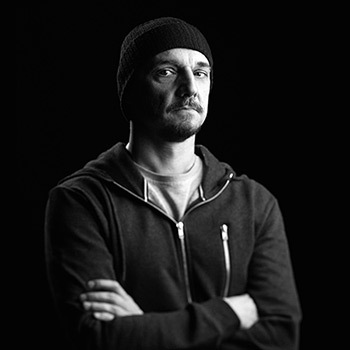 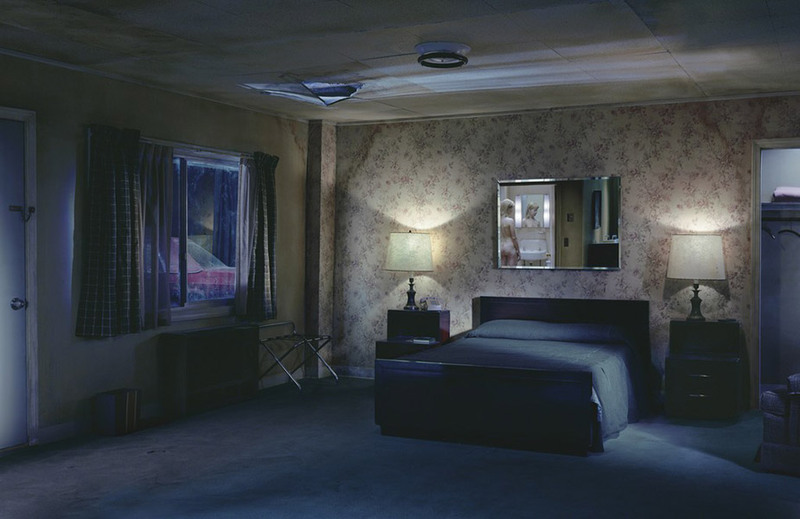 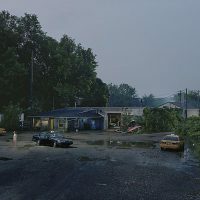 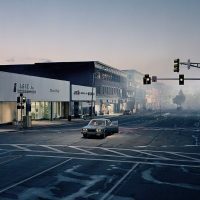 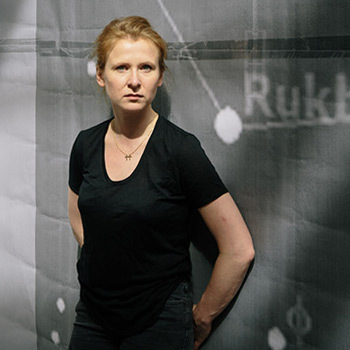 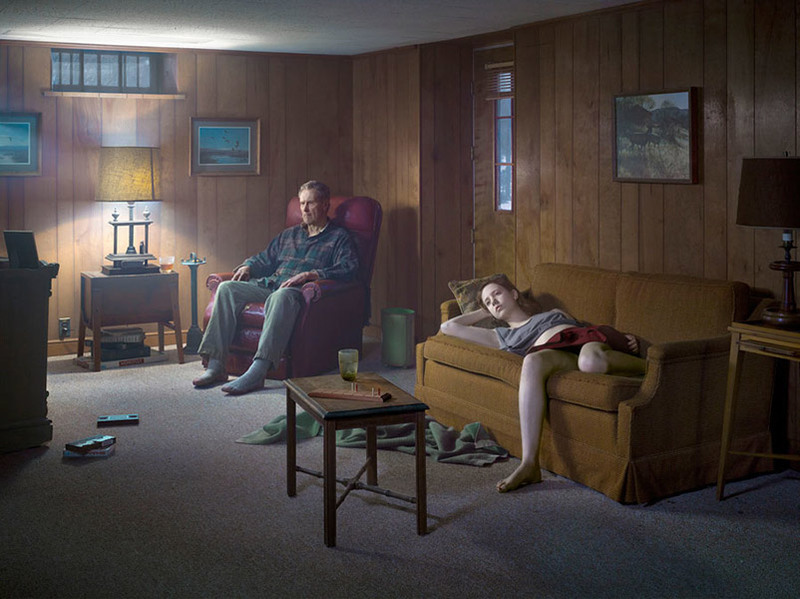 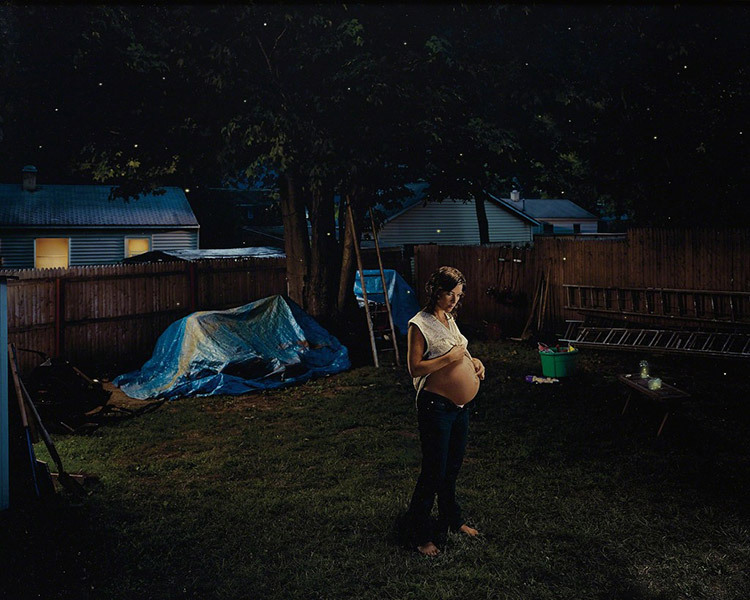 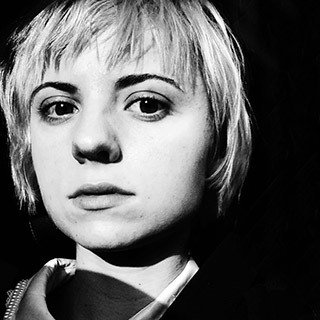 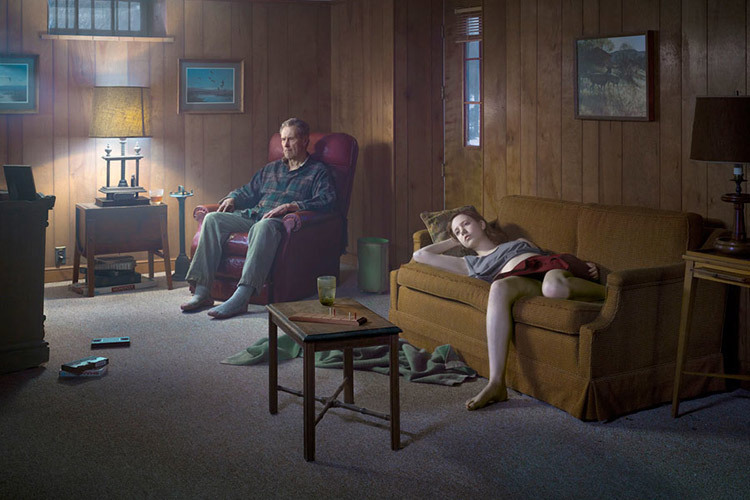 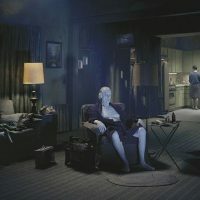 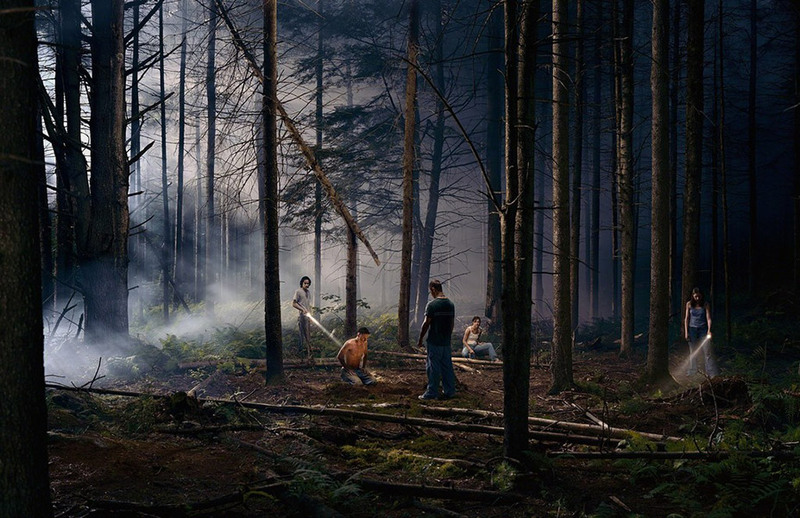 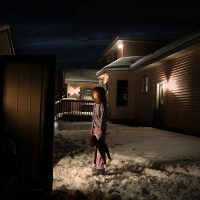 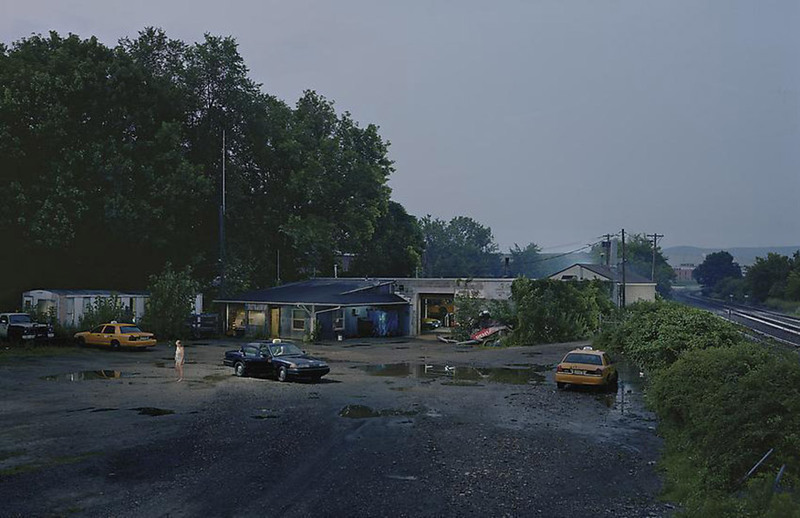 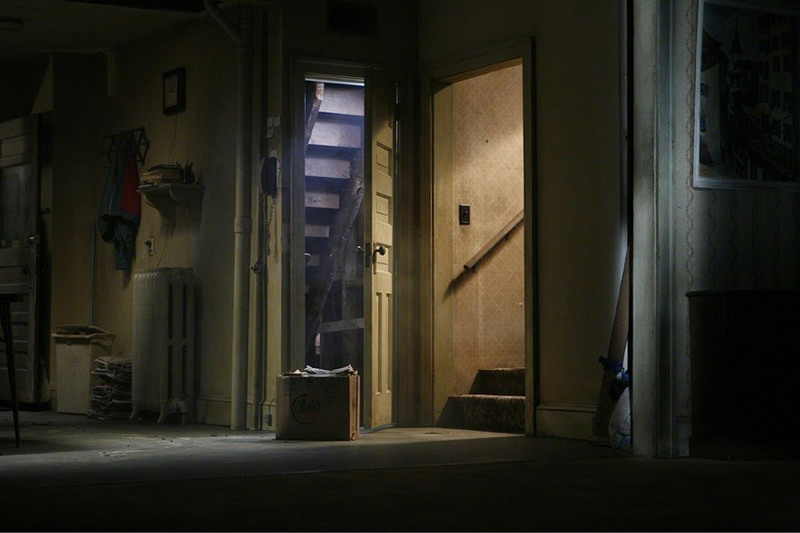 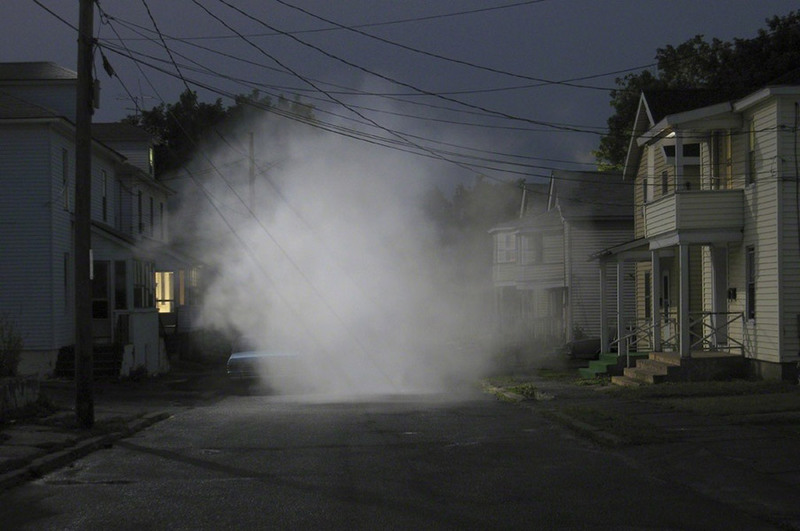 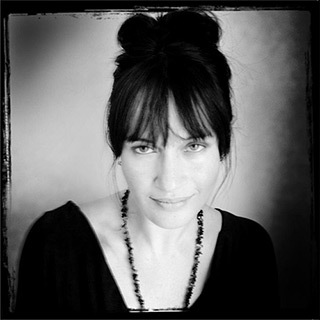 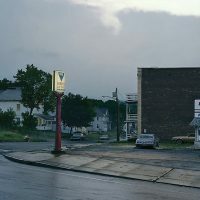 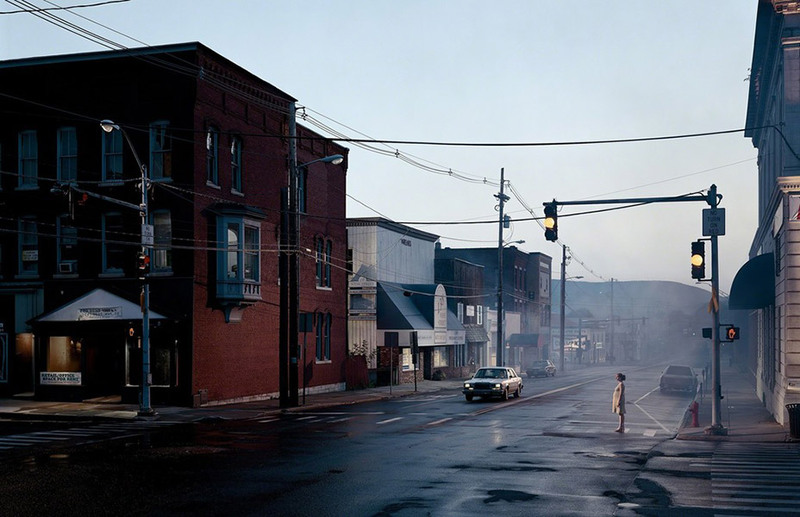 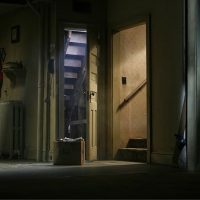 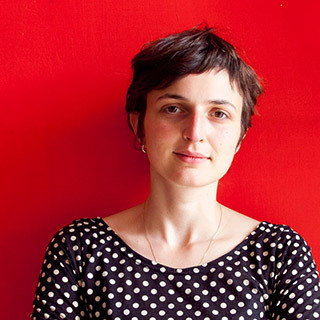 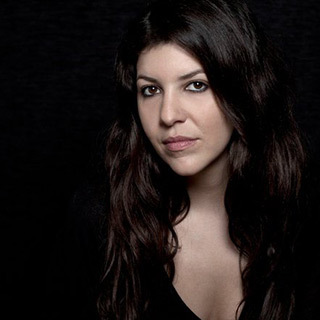 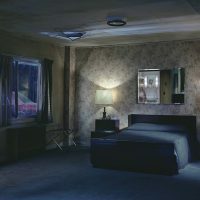 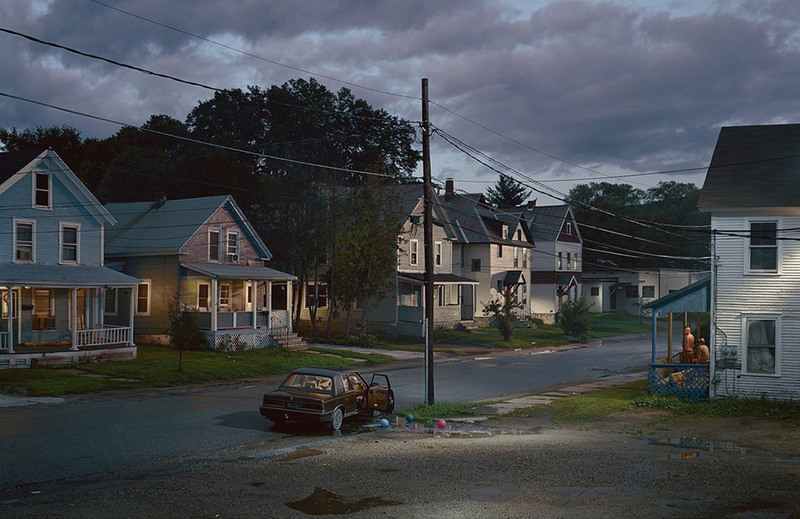 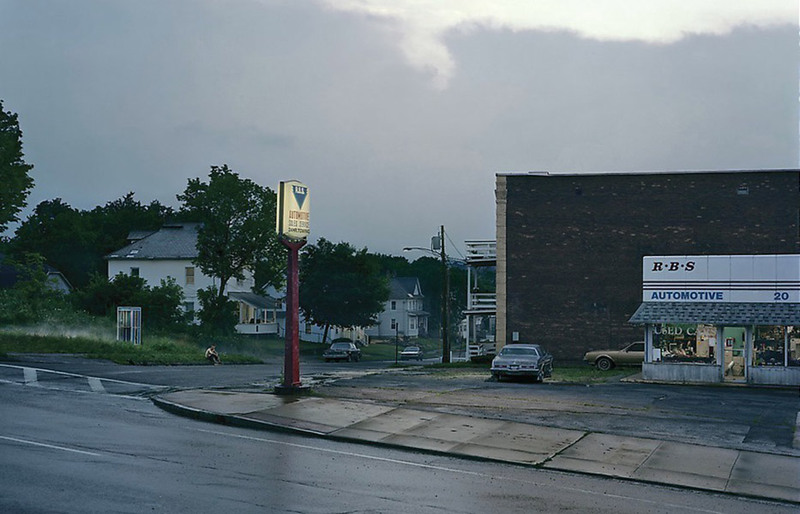 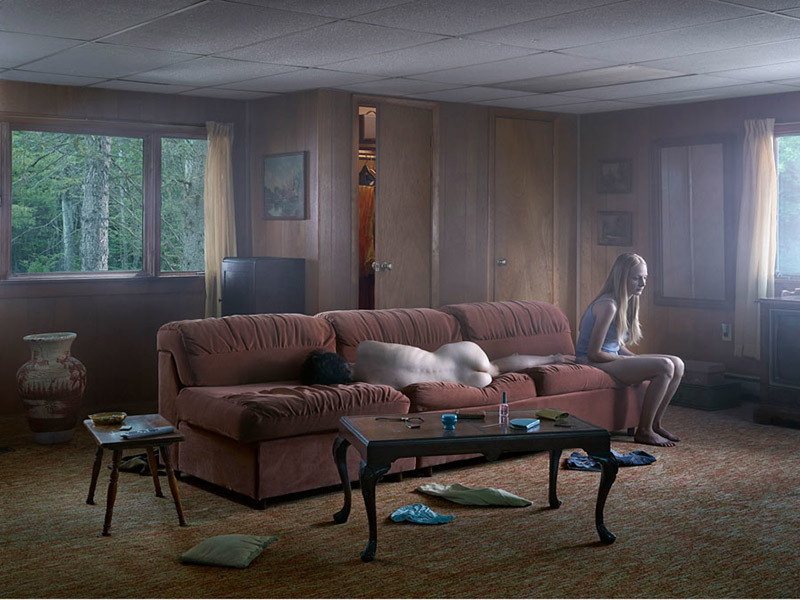 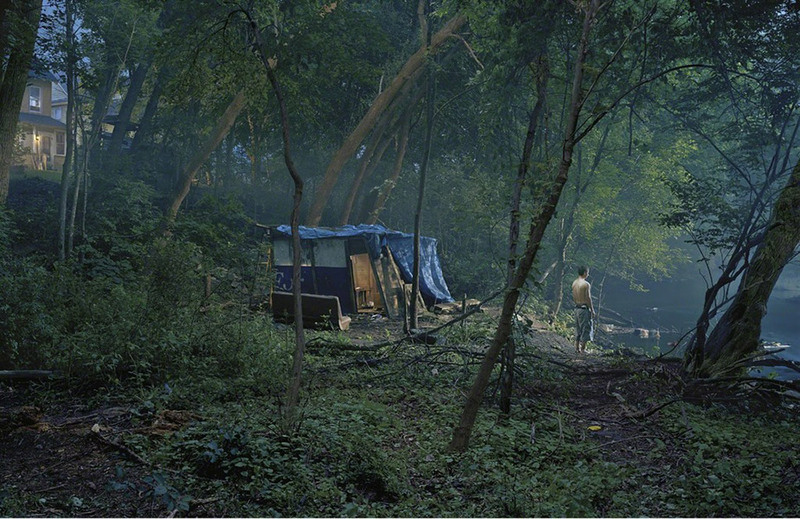 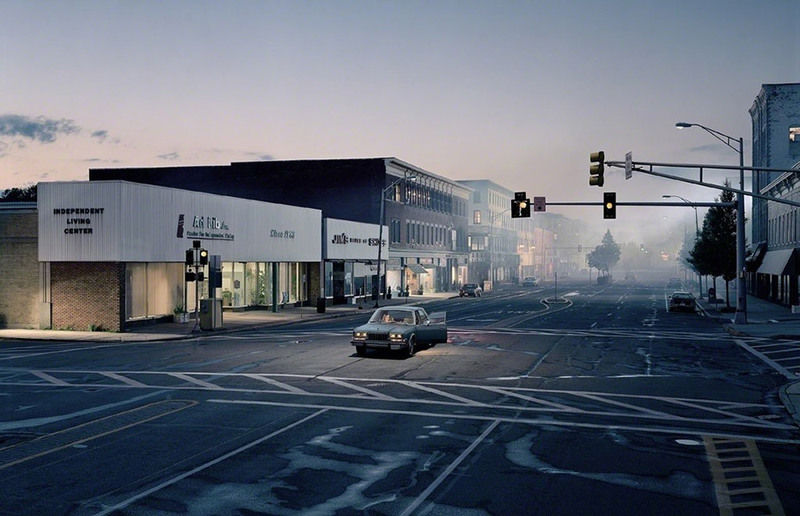 Crewdson is based in New York City.